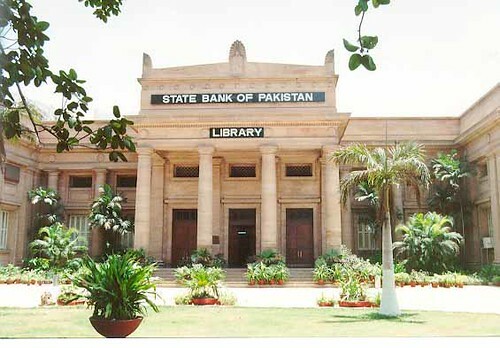 Following the release of Pakistan Economic Survey for FY13 and the announcement of the Federal Budget for FY14, the contents of the third quarterly report of the SBP for FY13 released on 13th June, 2013 would appear to be outdated but central bank's analyses and comments on the state of economy are both interesting and profound. The report reiterates that key challenges to macroeconomic management emanate from the fiscal side and the external sector. For those who care to read and are worried about the economic drift the quarterly reports of SBP are sent to both houses of Parliament. Unfortunately, however, there is no debate on it or an attempt to appreciate what the professionals in the field of economics and finance are raising the flag about. As a consequence, no corrective action is contemplated or undertaken. The net result is that the monetary side continues to take heat to a point where monetary policy loses its effectiveness. The situation underscores the need for initiating fiscal reforms on an urgent basis. Efforts to increase revenues, cut in spending, rationalizing of power tariffs, restructuring of loss-making PSEs, substitution of bank borrowings with external borrowings and domestic non-bank borrowings with longer maturity and strengthening of provincial taxation capacity to mobilise revenues from services and agriculture sectors could be some of the steps towards meaningful fiscal consolidation. On the external side, although current account deficit of dollar 1.1 billion during July-March 2013 was lower than the same period last year, the outlook remains challenging, with scheduled payments to the IMF in the remaining period of FY13. Ongoing repayments of external debt, mostly to the Fund, have already caused liquid foreign exchange reserves to decline from dollar 15.3 billion as of end-June, 2012 to dollar 12.3 billion, the lowest level since July, 2009. Challenges in managing the foreign exchange market would persist if this trend continues. A useful addition in this report is the section on tax amnesty as a public policy. The last government proposed to broadbase the taxation base through an amnesty scheme aiming to bring the three million additional tax payers into the net. SBP study shows that tax enforcement is costly and time consuming. A good amnesty scheme, says SBP, needs to be part of reform agenda to clear past liabilities, as much as possible and move ahead with a stronger taxation system. "The scheme should offer minimum perks and be made attractive by increasing the cost of non-payment (setting examples by prosecuting non-filers, media campaigns, portraying tax evasion as unethical and publicly 'naming and shaming' the tax evaders." This means create the fear, among the 'untouchable'; publicize names of where audit proves evasion - catch and prosecute a few. After this is done only then can you facilitate the non-compilers with helpful measures like an installment plan (adjusted for interest) to ease the cash flow burden and assurance against harassment by tax officials. SBP research shows that there is some value in giving tax evaders a 'second chance' to change their behaviour before stringent tax reforms are implemented. People need to fear the taxmen and have faith in the system's ability to catch and punish them. These crucial elements, however, are missing in the country. Another useful section is "Macroeconomic dynamics with a Dominant Borrower (Government)". It dwells on the fact that the State Bank had reduced the discount rate by 450 basis points over the past 20 months but private sector lending still remains low, spreads in the banking system remain high and the balance sheets of commercial banks continue to skew in favour of government paper. The SBP had been grappling with a difficult trade-off for the past several years. The real question was "with an insatiable government appetite for credit, how does the central bank contain the quantum of inflationary finance and yet ensure that private sector is able to secure adequate credit from commercial banks. This is all the more important as the domestic banking system is the last avenue for government borrowing. State Bank is of course faced with a unique set of circumstances. The government, with an increasing appetite for credit, has become interest-insensitive which means it would continue to borrow increasingly even if the monetary policy is tightened even by a 500 basis points! People at the helms in the Ministry of Finance are more concerned with financing the fiscal deficit at a particular point of time by any means rather than its impact on debt servicing, private sector activities, inflation etc. On the other hand, despite certain provisions in the SBP Act, it was not possible for a central bank to impose a hard ceiling on government borrowings to be implemented by bouncing government cheques. Such an action would not only seize up the money and forex markets and trigger a full-blown banking crisis but could shut the whole system of governance. In a situation like this, the purpose of maintaining a tight monetary stance is lost and the instruments of monetary policy lose their effectiveness. Thus the only way forward is a sizeable reduction in fiscal deficit as soon as possible and if there is a violation of the FRDL Act, 2005, government must go to the parliament for necessary coverage. In our assessment, Islamabad is not interest rate sensitive and it will borrow rupees irrespective of the rate. Ministry of Finance also appears to be insensitive to the continuous shortening of the debt profile (average maturity 13 months as against a regional average of six to seven years) and all attempts to create an effective Debt Management office have thus far failed. This is reflected in the consistent surge in the interest payments which is squeezing out development spending.